The the material in this blog post is dated. To learn about TM-Town's new and improved document upload functionality please see the blog post Uploader and Alignment Redux. On TM-Town it is easy to upload your translation files. 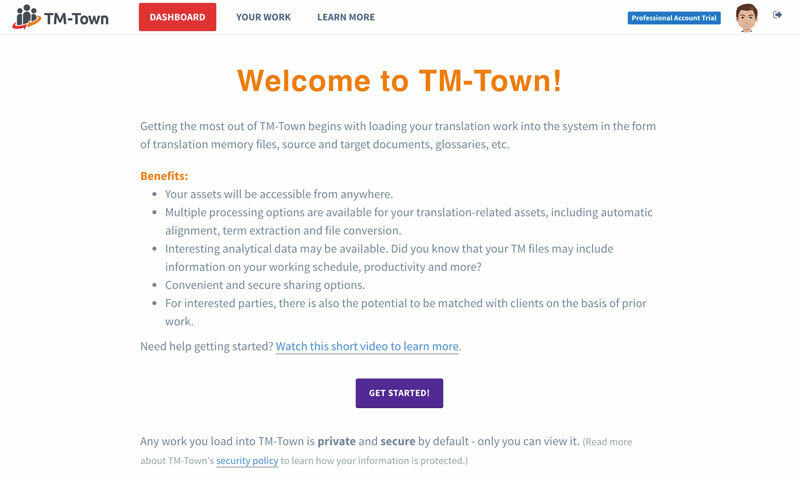 By uploading your previous translations into TM-Town’s system you get a safe and secure way to manage, back up and share your linguistic assets. Additionally you will get the potential of being matched with new clients on the basis of your prior work. Watch this short screencast to get a better feel for uploading files on TM-Town. Try out TM-Town today - it's free.